Sometimes you just have to belt out those songs you’ve been practicing in the shower for so long. Although in a city as notorious for live music as Austin, you may get some fierce competition. 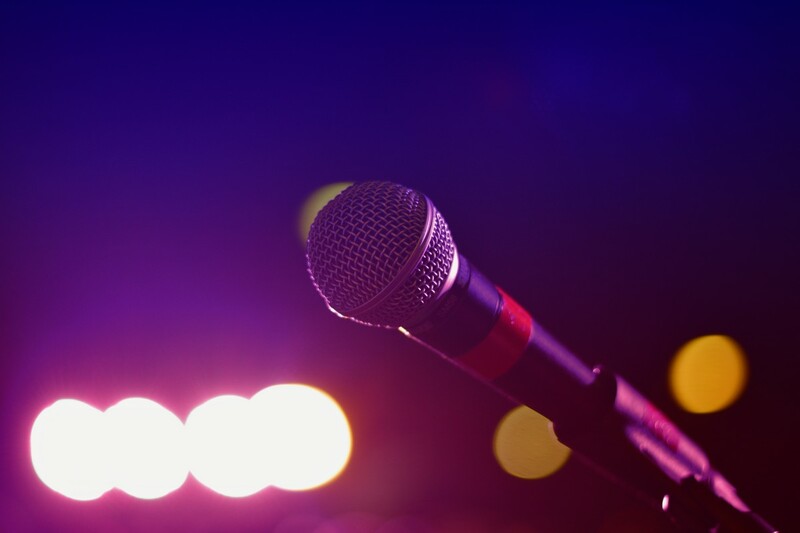 The music scene may be extremely popular across the city, but the best karaoke bars in Austin are the perfect way to have a blast with your friends while showing off your singing skills... or lack thereof. The Highball has a great karaoke setting with different rooms for big and small groups of friends. Each room is taken care of by a server who provides drinks and snacks and has a huge songbook with titles to choose from. It’s one of the most established karaoke spots in the city and also features amazing dance parties, interactive events, and live music. The bar serves incredible cocktails, and you can even take your drink into the Alamo Drafthouse Austin theater next door! Austin Karaoke is probably the most popular karaoke bar in town thanks to its long opening hours from 6 p.m. to 4 a.m. Sundays through Thursdays and until 5 a.m. on Fridays and Saturdays. It has private rooms that can hold up to 50 people and smaller rooms for more intimate groups. They also provide individual microphones, video screens, and an incredible sound system that lets you show off your vocal range! Austin Karaoke is here to remind us what a true karaoke night feels like. Ego’s in Austin is a dive bar that offers free karaoke seven nights a week from 9 p.m. to 2 a.m. and frequently hosts tournaments and other special events. Ego’s started off as a quiet bar tucked under a parking garage at 510 South Congress Avenue but has quickly turned into one of the best karaoke bars in Austin. If you need a little motivation before singing, Ego’s has a wide variety of cheap drinks that are sure to bring out your inner Michael Jackson! The Bear just has one rule: leave all the drama at the door because we’re here to have fun! The Iron Bear is a popular gay sports pub known for their amazing karaoke nights called Bearaoke on Wednesdays and Saturdays. Party along with their DJs while enjoying some great cocktails and a vibrant atmosphere. If you feel your shirt is in the way of your dance moves, you’re more than welcome take it off! Apart from their delicious Chinese cuisine, Chinatown in the heart of Austin becomes an awesome karaoke club every week from Thursday to Saturday. The musical evenings include full bar service and a long list of available songs that keep the party going til late at night. At Chinatown in Downtown Austin, you'll be able to enjoy big portions of food while waiting your turn to sing your go-to karaoke song. If you’re searching for amazing daily specials before starting your karaoke session, then Red Rooster’s is just the place for you. The restaurant offers a $9 pizza and beer combo every day until 9 p.m. and has karaoke nights Tuesdays through Saturdays. Red Rooster also has a killer dance floor, bar bingo, and many games for all its visitors. For an unforgettable night in the city, you can’t miss the best karaoke bars in Austin. Don’t forget to channel your inner rock star and show everyone what you’ve got! For more things to do in Austin, register on 512area and connect to everything in the Austin area for free.